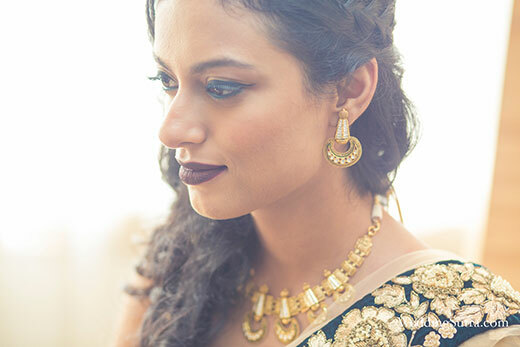 The bold and beautiful bridal styles is the theme as bride to be, Sudipti is styled by Wedding sutra in deepest of greens and complimented with a burgundy lip for a look that could easily be an evening soiree favourite. 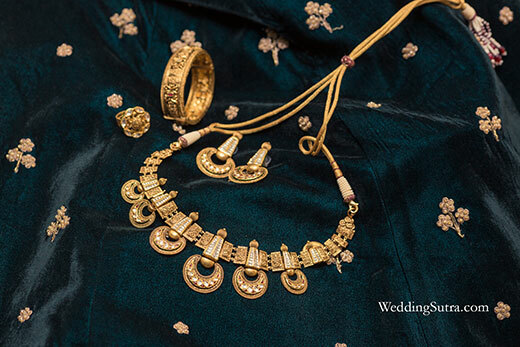 Contemporary and glamourous in gold, Azva jewellery is the perfect addition to the attire with its skilfully crafted crescent necklace inspired by the wedding vows. 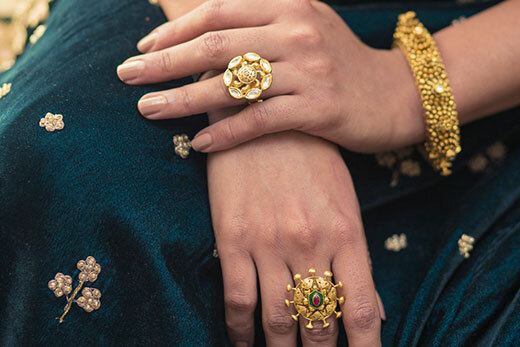 The look is kept on point with cocktail rings, well suited to the occasion and a bangle with modern feel. 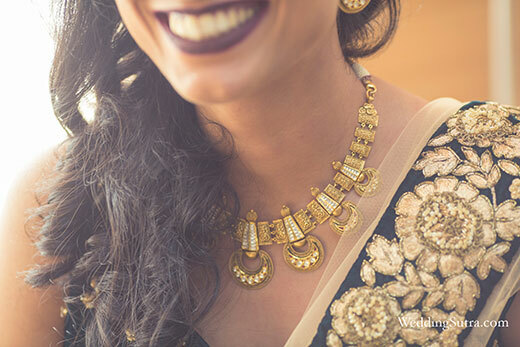 Adding to the statementstyle and playing up the shimmer of embroidery is the kundan set stones on the jewellery and a smoky eye for an unconventional bridal update.